Green in sunlight. Red in lamplight. 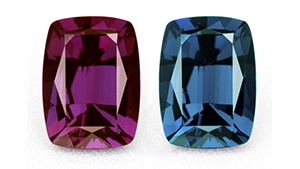 Color-changing alexandrite is nature’s magic trick. Alexandrite is the color-change variety of the mineral chrysoberyl. Alexandrite is bluish green in daylight or fluorescent light. Alexandrite is purplish red in incandescent light or candlelight. This alexandrite specimen is made up of three interpenetrant crystals. 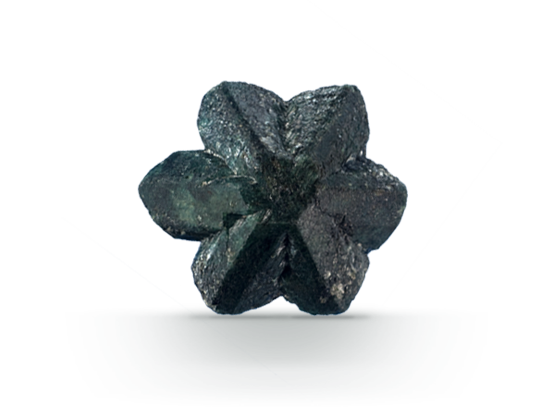 Brazil is one of the most important alexandrite sources. Notches marking the edge of each crystal are called re-entrant angles. Often described by gem aficionados as “emerald by day, ruby by night,” alexandrite is the very rare color-change variety of the mineral chrysoberyl. Originally discovered in Russia’s Ural Mountains in the 1830s, it’s now found in Sri Lanka, East Africa, and Brazil, but fine material is exceptionally rare and valuable. Alexandrite is a birthstone for June, along with pearl and moonstone. Alexandrite is also the gem for the 55th wedding anniversary. The year alexandrite was discovered in Russia’s Ural Mountains. Gem’s namesake who emancipated Russia’s serfs and was assassinated in 1881. This absorption band allows alexandrite to shift from red to green when viewed under different light sources. There are a number of processes used to alter the color, apparent clarity, or improve the durability of gems. Some gemstones have synthetic counterparts that have essentially the same chemical, physical, and optical properties, but are grown by man in a laboratory. Any gem can be imitated—sometimes by manmade materials or by natural materials chosen by man to impersonate a particular gem. Making alexandrite change color from green to red is the world’s most fun use of a penlight. This gem provides dramatic proof of how much the light source affects color in gems. Alexandrite can show both color change and a cat’s-eye: two phenomena in one gem. 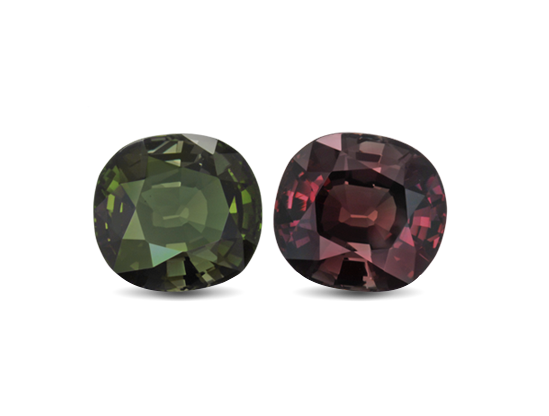 Fine alexandrite is green to bluish green in daylight and red to purplish red in incandescent light. 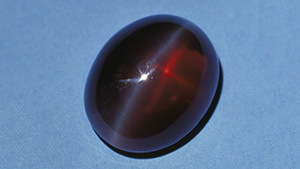 Good quality alexandrite has few inclusions. 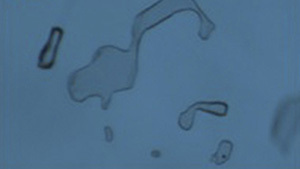 Rarely, needle-like inclusions create a cat’s-eye. 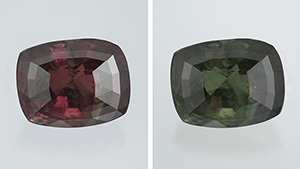 Alexandrite is most often available in mixed cuts. Its rarity means it is often cut to save weight. Most cut gems weigh less than one carat. Larger, higher-quality gems rise in price dramatically. Explore sources, gemological research, and the role of gems in history. Found in lava, meteorites, and deep in the earth’s mantle, yellow-green peridot is the extreme gem. Dazzling brilliance. Captivating color. These are the planet’s most valued gems. Diamonds are among nature’s most precious and beautiful creations. Emerald is the bluish green to green variety of beryl, a mineral species that includes aquamarine. Citrine is the transparent, pale yellow to brownish orange variety of quartz.